Turn key! Furnished! (minus a few personal items) Move right in and enjoy all this well kept home has to offer. 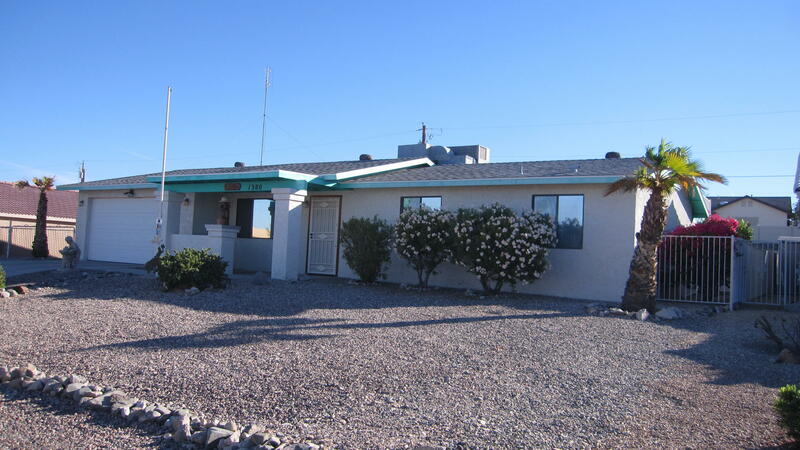 Sits on a beautiful lot, has newer roof, most appliances are new, roof top viewing deck, fenced spacious back yard yard with fruit trees, side parking, covered patio off AZ room, nicely landscaped. Lots to like about this home and the area. Don't miss out! Directions: N. on Lake Havasu Ave to Right on Hillside to Left on Beefeater Home on Right.